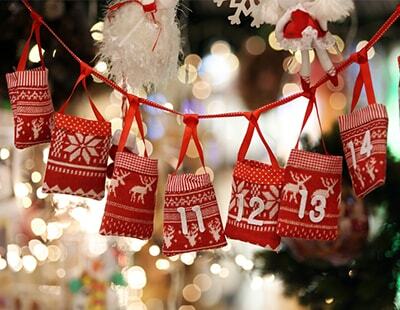 With Christmas less than four weeks away (yes, really) the countdown to the festive season begins tomorrow when December begins. 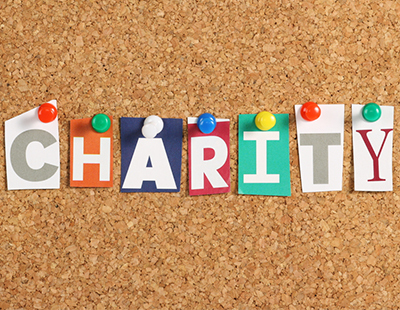 Charity work will step up a gear as the industry does its bit for those in need. 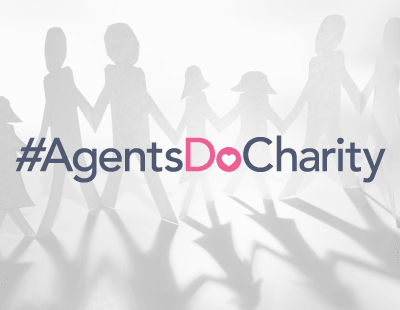 And this week’s Agents Do Charity is the perfect platform for Yuletide Liftoff with a wide range of splendid fundraising. 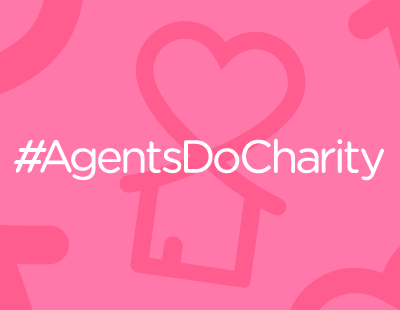 Join the fun by telling us what you’re up to - just email press@estateagenttoday.co.uk and we’ll tell the industry. The Donna Louise: A unique jacket belonging to pop star Robbie Williams has helped SDL Auctions raise more than £10,000 for a children’s hospice. The star lot appeared in a charity auction at the SDL Auctions Black & Red Ball in Derby this month and the money raised will go to The Donna Louise, SDL Auctions’ chosen charity for 2018, the young people’s hospice in Staffordshire which supports children with life-limiting conditions and their families. More than 220 guests attended the three-course dinner with singing waiters and they enjoyed live entertainment throughout, including a raffle to win a Mulberry handbag and various other prizes, as well as the charity auction. The auction lots included a pair of Longines watches, a meal for two at the Bulls Head in Repton and a Mercedes Benz experience, as well as the jacket worn by Robbie Williams during a tour with Take That. But the most touching lot was a painting called “Together through it all” by Daniel Reeves, a 20-year-old artist with disabilities who paints with his mouth, who has been helped by The Donna Louise. Andrew Parker, managing director at SDL Auctions, says: “The Donna Louise is such an inspirational charity and everyone at SDL Auctions has been passionate about raising as much money as we can for them this year. Homeless Charities: The Fine & Country Foundation has completed its autumn grant programme, giving £45,350 to homeless charities in the UK and overseas. In spring 2018, The Fine & Country Foundation launched its first grant programme for registered homeless charities across the world and gave more than £70,000 to 17 projects. High demand for support led to the grant programme reopening in autumn this year and a further £45,350 was given to 14 homeless projects. Fine & Country members are supporting their favourite homeless causes by partnering with their local charities or international projects. The company hosts a number of fundraising events throughout the year: from their annual Gold Cup polo event in July, to bespoke partnerships with the King’s College Cambridge Chapel for a carol concert on Sunday 2nd December, with more than 400 attendees. Charlotte Schofield, Foundation Co-ordinator says: “It is amazing to see our members excited and passionate about homeless causes. At the beginning of the year we had an influx of homeless charities asking for funding, so we created our bi-annual grant programme which has been a huge success. In total, The Fine & Country Foundation has given £119,380.04 to homeless charities in its 2018 grant programmes. St Basils, Birmingham: Members of ludlowthompson’s head office team will be taking part in the annual Big Brum Sleep-out tonight, Friday November 30. St Basils works with young people aged 16 to 25 who are homeless or at risk of homelessness, helping over 5,000 young people per year across the West Midlands region with specific services in Birmingham, Coventry, Sandwell, Solihull, Walsall, Warwickshire, Worcestershire and the Wyre Forest. The Big Birmingham Sleep-out requires individuals and teams to ‘sleep rough' for a night in the grounds of Birmingham Cathedral with just a cardboard box and a plastic bag for shelter. This is the fourth year the agency’s team from Worcester have taken part in this event and they admit they always find it a very humbling experience. Christmas Shoebox Appeal: Each year Agency Express joins forces with international relief charity Teams4u for the Christmas Shoebox Appeal which helps to bring joy to children living in poverty. In 2017 Teams4U distributed over 38,000 Christmas shoeboxes to vulnerable children and families across Romania, Bosnia and Belarus. While this year’s final figure is yet to be announced, Teams4u has confirmed that early collection figures are up and we are delighted that we were able to play a part in boosting this year’s numbers. Thanks to the generosity of estate agency customers, industry colleagues and friends the team has donated over 400 Christmas shoeboxes and over £500 towards the transport of boxes. The first lorry load of Christmas shoeboxes is on its way to Romania and will be distributed through schools, nurseries, hospitals and orphanages. Every shoebox will be gratefully received, bringing joy and excitement into an often bleak existence. Children with Cancer: London-based bridging lender Market Financial Solutions has helped raise over £750,000 for the Children with Cancer charity. The vital funds were raised as part of the 2018 Children with Cancer Ball, which was held this month at The Grosvenor House Hotel. The night included performances from comedian and impressionist Jon Culshaw and the American music group Sister Sledge. Chestertons: The London Magazine Club Awards 2018 took place this month at the Hotel Café Royal in London, in celebration of the outstanding contribution of CLEA agents to the capital, to charity and to the industry. There were six award categories in total and Chestertons was the winner of the Special Charity Award, a category that looked at significant contributions to charity and initiatives that have made a real difference to people’s lives in London. The judges praised Chestertons for the variety of its fundraising and charitable work with St Mungo’s, Suited and Booted and Dogs Trust, as well as its generosity of staff through its payroll giving scheme. Ipswich Sleep Out: Ipswich mortgage industry professionals will be taking part in #MortgageSleepOut tonight, November 30. Overall more than 1,000 mortgage industry professionals from over 70 businesses have pledged to spend the night on the streets to raise funds and awareness of homelessness in the UK. Good luck from all of us at Estate Agent Today! Agents Giving Christmas Ball: Hamptons International is set to take part in the Agents Got Talent contest, which will be held at the annual Agents Giving Ball next Friday. Alongside the talent contest, there will also be an awards ceremony to award the best fundraising agents of the year. Crisis: Earlier this month JLL’s Greenwich office hosted its annual quiz night at Clarendon Hotel, Blackheath, where the team and guests raised approximately £2,500 for Crisis. The evening was attended by 85 local estate agents, solicitor firms and friends of JLL and as well as the quiz, include a raffle which raised just under £500. JLL has recently announced it is extending its partnership with Crisis for a further two years to focus on fundraising as well as more strategic work to address a long-term plan to get more people into housing.